Last summer I decided that I was going to get the house in order. Before Miss B came along we gutted the house from top to bottom but the combination of having a little one running about, 2 mental kittens and redundancy meant that the house took a back seat and got a little unloved looking. Our poor hall was all bare naked then half done for almost a month because again in my wisdom (are you seeing a pattern here) I decided we should get all the internal doors replaced so that held us up for longer than it should have done. I was absolutely delighted with the results and it still makes me smile on a daily basis so I know I made the right choice. I gave the house a break over Christmas but we were right back into in in January but I will do some separate posts on each room as I go. I’m really happy with the progress we’ve made so far and it will be done by May and then the fun begins when I start looking outside the house, oh lord help me! 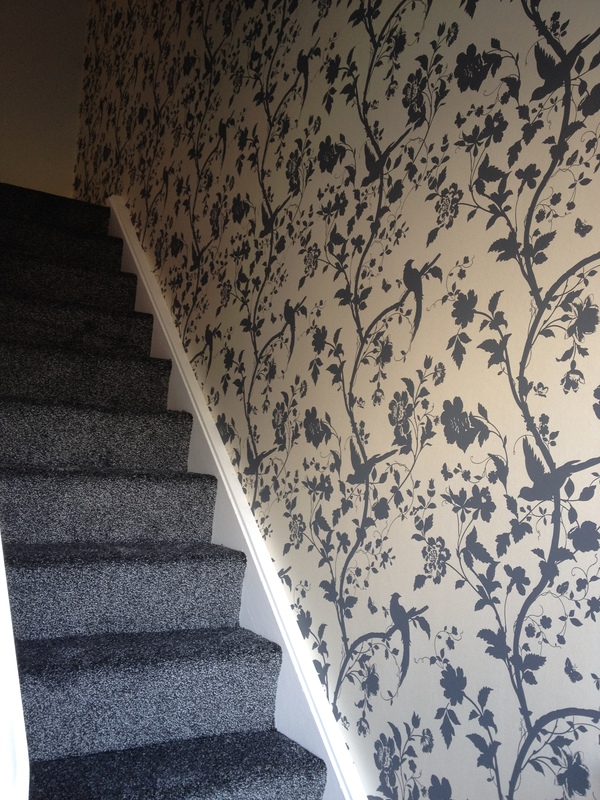 Here is a picture of my hall wallpaper, I LOVE it!